You are Here: UniPay Gateway > Why UniPay Payment System? So why should you consider UniPay payment system as a solution for your business? UniPay payment gateway was created by a team of talented engineers and business analysis, who have put their insight, ingenuity, and over 10 years of payment processing industry experience in design and implementation of the enterprise scale payment system. Since the time of its initial release, UniPay gateway remained one of the most flexible and innovative payment systems on the market. UniPay gateway is a robust, enterprise scale, cluster aware payment application, extensible and customizable enough to accommodate needs of the most demanding clients. An already rich feature list gets regularly extended, while all underlying technologies get timely updated to include the most stable and up-to-date versions of the respective products. UniPay gateway is a cloud payment solution, which can be branded and white-labeled by payment services providers for ultimate merchant services experience. The entire payment platform is customizable through extensive and easy-to-use APIs. Built with modern, robust technology, UniPay gateway is the only enterprise scale payment system, which is open source. Availability of the source code makes UniPay gateway a highly customizable payment solution for super-ISOs and PSPs. UniPay gateway comes with our premium level support, which not only guarantees smooth operation of your UniPay based payment system, but also insures that your business processes remain optimized, efficient and standards compliant. Our advanced payment technology will also help you reduce your PCI scope and simplify your annual PCI audits. More and more enterprise clients are making UniPay payment gateway a platform of their choice; every week, new merchants get boarded on payment systems utilizing our gateway technology. Going with UniPay gateway, you are opting for a reliable, time and industry tested payment solution, which can truly enhance your business, making it more competitive and thus more profitable. Feel free to contact us for live testimonials of our existing customers. So, is UniPay payment system right for you? Tell us who you are to find out! 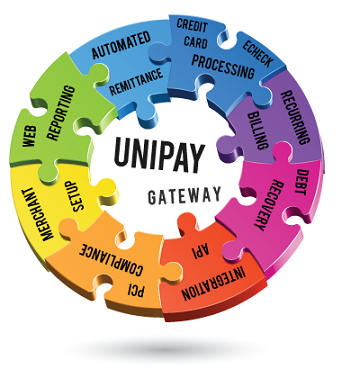 Why should you choose UniPay gateway as the payment system for your business? Here are some arguments in favor of our time-tested payment gateway software.